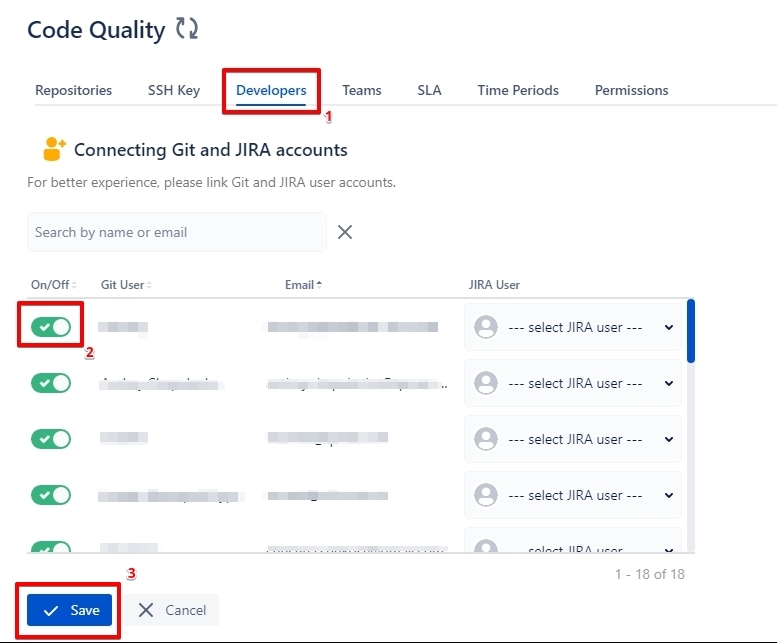 How to exclude a developer's data - code quality for jira | how-to's - Code Quality Products @ Diligences Inc.
It’s possible to exclude any of developer’s data in “Developers” tab in the add-on settings. The data gathered for this developer will be excluded from all calculations around the platform. If you need data to be aggregated for several users, we suggest you to use Team functionality instead of a batch exclusion.